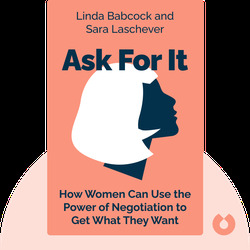 Ask For It (2008) gives women advice on how to successfully negotiate to get the jobs and salaries they want and deserve. 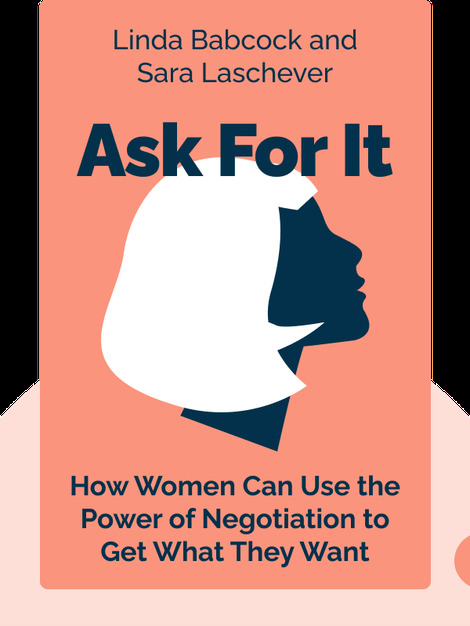 These blinks outline the do’s and don’ts of negotiation so that those who aren’t used to asking for more can learn how to do so the right way. Linda Babcock is a professor of economics and has won several awards as an educator. Her research has been published in the American Economic Review and the Quarterly Journal of Economics, among others. Sara Laschever is a writer who renders complex themes into enjoyable and accessible prose. She writes about many topics such as pop culture, literature and science and has been featured in the New York Times, the Boston Globe, Glamour and Vogue.